Have you checked out social media lately? Maybe you got sucked in and are on it every day or, perhaps you’re still holding out, or maybe you’re just leaving it to the next generations; but there’s something important you should know about it, either way. I’m talking about the potential impact of social media on mental health. Social Media & Mental Health? Instagram and Facebook showcase everyday lives in an interesting way; and although I don’t really use either of those social media apps, I know countless people who do. One thing that’s always stood out to me is how people always look like they’re having the best time ever, and most of the photos and posts look and feel as fake as a Fox News broadcast. I’m not saying that it isn’t normal to want to share your positive experiences with friends, but for some it can be a little much. It can get to the point where it actually seems like more of a call for help—and, according to a recent Harvard study, there’s a good chance it actually might be. The study looked at how certain color photos and filters on Instagram correlate with depression and may be an early indication of mental illness. 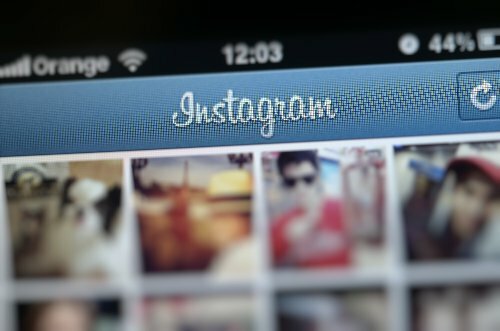 Using a computer program to analyze Instagram photos from 166 people, the study found that photos that were darker in color, in grey and blue tones, and posts using the “Inkwell” filter, which turns regular color photos into black and white images, seemed to indicate accurately which Instagram users had clinical depression, even if it was an apparently happy post. This is actually a positive example of how social media could be used to help diagnose mental illness. However, I think that, in many other cases, the world of Instagram, Facebook and all the other social media apps can actually lead to emotional and mental issues. For example, a joint study by two German universities found Facebook to be a cause of envy, stress, and life dissatisfaction. In fact, one in three people from the 600 people in study felt frustrated or dissatisfied with their own lives after browsing the site. Because people tend to edit their lives substantially before sharing on social media (think of all those happy family, vacation, career success, and relationship posts and photos), feelings of inadequacy, envy, and resentment can develop among their “friends” and “followers.” And that’s not even mentioning the feelings of competition and anxiety when it comes to receiving (or not receiving) birthday greetings on one’s Facebook page. So if you’re using these social media apps, remember that life is not necessarily a competition, especially one that involves how many pictures you can share and how many people like them. If someone you know is posting all kinds of photos that make you question the quality of your own life, try taking a step back and thinking about why they’re broadcasting everything—it might have something to do with poor self-esteem or a constant need for approval. Being happy with yourself and confident enough to not care so much what other people think—or do—seems to be the ultimate guide to happiness, so focus on the real things in your life. If you need to shut off the screens to achieve it, then do it! Atkinson, E., “Picture Perfect: How Helpful is Social Media for our mental health?” BBC News, August 30, 2016; http://www.bbc.com/news/uk-37218059, last accessed September 7, 2016. Goldsmith, B., “Is Facebook envy making you miserable?” Reuters, January 22, 2013; http://uk.reuters.com/article/us-facebook-envy-idUKBRE90L0N220130122, last accessed September 7, 2016. Reece, A., “Instagram photos reveal predictive markers of depression,” arXiv, August 10, 2016; http://arxiv.org/abs/1608.03282, last accessed September 7, 2016.